Zozer Games' Low Tech supplements, Low Tech Weapons, Fast Magic and Archaic Firearms provide detail for settings at the bottom end of the Tech Level table, and for fantasy settings. 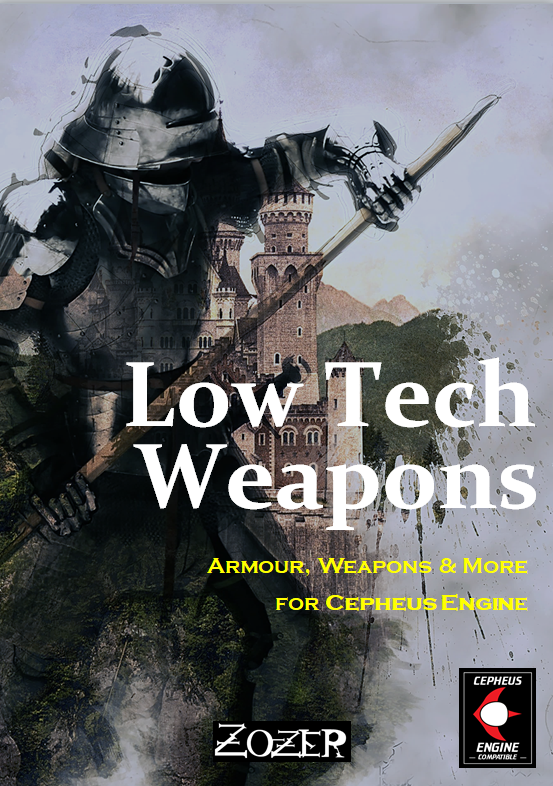 Low Tech Weapons is a hardware add-on for the Cepheus Engine roleplaying game. ​Low Tech Weapons provides you with a huge number of new melee weapons that can be added without fuss directly into your Cepheus Engine or 2D6-based SF RPG. Most are based on the deadly weapons invented and used throughout the Ancient and Medieval periods. On Low Tech planets, TL 1-3, these weapons may have alternative names. They will provide more variety than the current spread of spear, dagger, cutlass, sword. 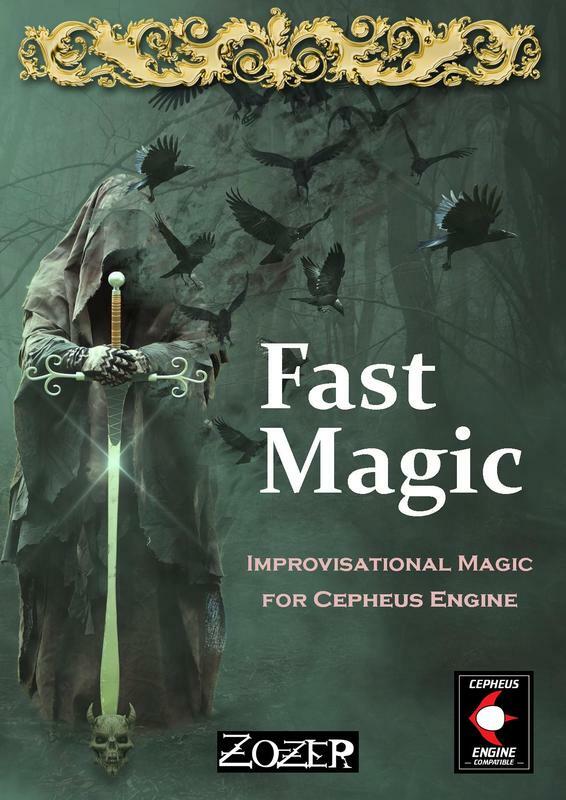 ​For anyone wanting to use Cepheus Engine as a rules-set for a fantasy setting, Fast Magic offers a complete, improvisational magic system.There are no spell lists in Fast Magic and this is done firstly to keep the rules flexible and easily adaptable to a referee’s setting, and secondly to mirror the rules-light approach of Cepheus Engine itself. A player character does not have to wait passively for an opportunity to use a spell on his spell list. Instead he can adapt his magic to each situation, playing a much more active role in the game. ​Archaic Firearms provides you with a number of black powder firearms from Earth’s history, that can be added without fuss directly into your Cepheus Engine or 2D6-based SF RPG. Bottom line up front: I wanted something to go along with blackpowder fantasy for Cepheus Engine. This is a perfect fit. Good history of the blackpowder firearm and how it informs the use of such weapons. The rules are light and easy to implement. Equipment includes arquebuses to percussion cap revolvers, petards, and cannons. Short, sweet, to the point. Can't beat the price or the product. Fully recommend.